When a mysterious alien probe appears above earth and unleashes a destructive beam that takes out part of Florida, Cuba, and Venezuela, Captain Archer and the rest of Enterprise are ordered to return to home. Before they arrive, however, Archer is taken captive by the Suliban who tell him of a race called the Xindi, why they sent the probe, and where Archer must go to search for them before they complete work on an even bigger weapon, this one designed to take out the whole planet. Archer and company reach Earth and do all they can to convince Starfleet of the legitimacy of their information, which isn't an easy task; according to the Suliban, the Xindi probe was sent from the future, but according to the Vulcans, time travel is impossible. Archer does it, though, and with a newly outfitted Enterprise, he and his crew set sail for The Expanse, the region of space he was told would have his answers. This is probably Enterprise's most dangerous mission as The Expanse is "an area so dangerous that no ship has ever emerged from it unscathed. Vulcan crews were driven to bloodthirsty madness, Klingon crews were anatomically inverted, their internal organs exposed outside their bodies . . . while they still lived. Many vessels were lost, never to be heard from again." Of course, once inside The Expanse, some of the explanations aren't as impressive as the set-up would lead you to believe and, to be honest, other than the mining colony that was manned by prisoners (explaining the ships that were never heard from again), The Expanse really didn't seem like a very dangerous place. 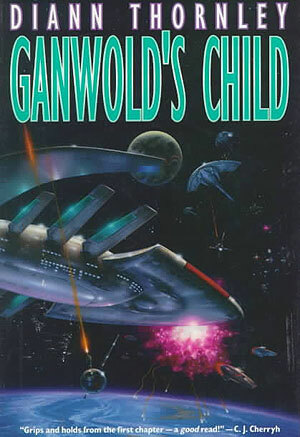 But when you add to this one of his best friends lost his sister to the alien beam, (plus there's a vengeful Klingon dogging their trail the whole way), Captain Archer is finally learning what it is to be aboard a ship called Enterprise. The Expanse was based on two episodes of the Enterprise series--I don't know what season--called "The Expanse" and "The Xindi", and is novelized by J.M. Dillard who has penned many a Trek novel. Given the amount of inner dialogue here, I think Dillard did a good job of fleshing out the characters more, adding personality and motivation where before there was probably just a lot of stage direction. ARCHER LOOKS PENSIVE turns into a 2-page flow about Archer's focus on the mission and how he's cut himself off from all social activities aboard the ship so he could study the Xindi. It's hard to miss the obvious correlations between this story and the World Trade Center events and their aftermath. Some unknown force comes to Earth, wreaks havoc, and Earth in turn sends someone out to find them before they can do further damage. I was surprised to find this story was originally published in 2003, such a short time after the WTC events. The Expanse had its pros and cons, maybe more obvious than some other novels I've read (pros: there is mention about how it's taken 3 months to reach The Expanse. This was the first time I'd heard mention in a Trek story about just how long it takes to get from place to place in space. cons: Enterprise's loop-the-loop to swoop in behind the attacking Klingon Bird of Prey), but in the end it all balanced out to make an enjoyable read. It's a Trek novel, you know? No one takes them seriously, they're not meant to be taken seriously. Trek is good fun, and so was this book.